Parker's Crossroads contains a highly-detailed and on-site researched game map depicting the Belgian countryside along the Baraque de Frailture crossroads. This hotly contested battlefield was the scene of a collision between Americans and German Waffen SS and Volksgrenadier units during the Battle of the Bulge. 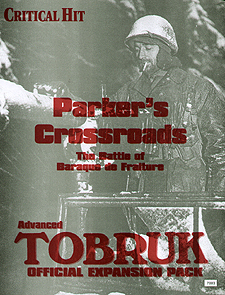 It was later to be known as "Parker's Crossroads", named after Major Arthur C. Parker III, the Commander of the 589th Field Artillery unit assigned to this sector.